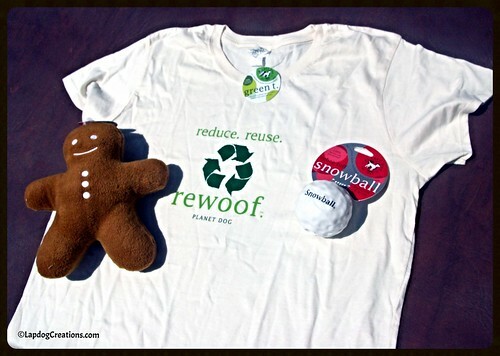 Since 1997, Planet Dog has been the leader in designing and developing eco-friendly products. 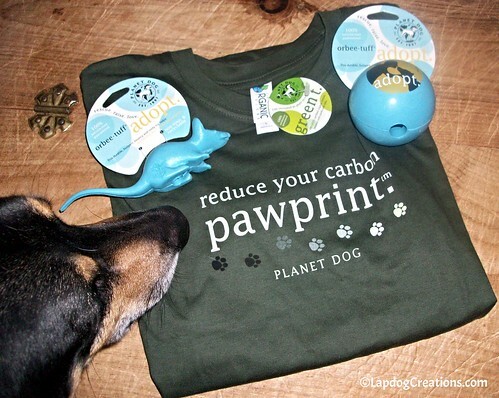 Today we're sharing a few of our favorite Planet Dog items from over the years. And guess what? All of the items still exist in our house, which says a lot for how well Planet Dog's toys hold up (the exception being that mouse, which we passed on to a feline friend)! 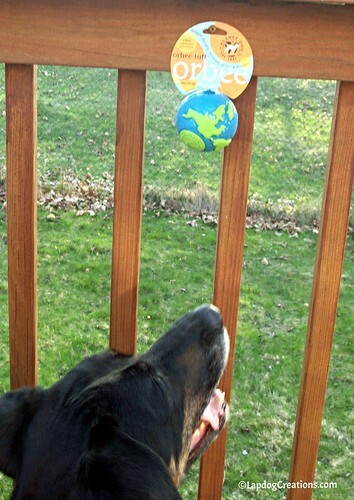 Penny recently got a little green Planet Dog toy, as well as one of their beautiful leashes. We'll be telling you all about them soon, so stay tuned! Enjoy your Earth Day and have a great weekend! 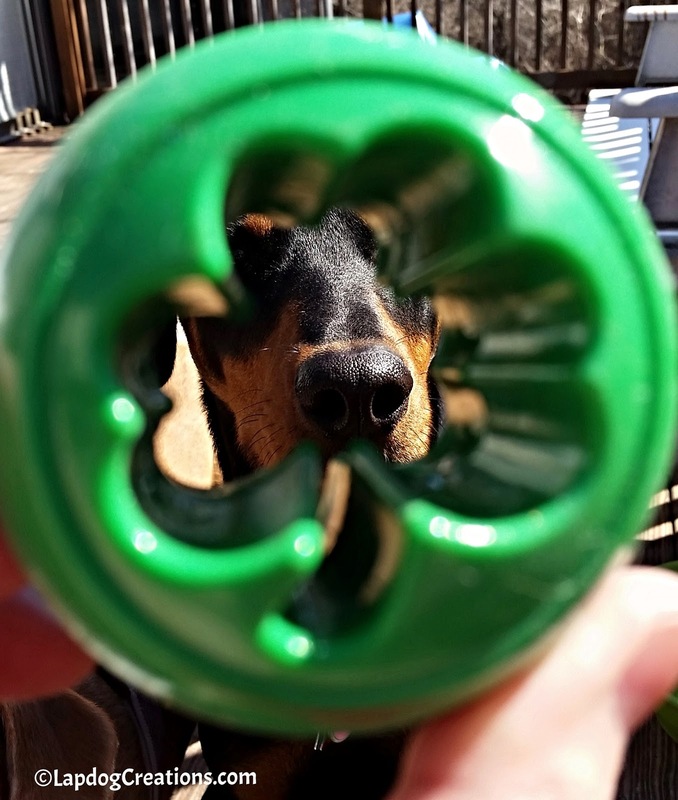 Make sure you enter to win the PAW5 Rock 'N Bowl we're giving away! 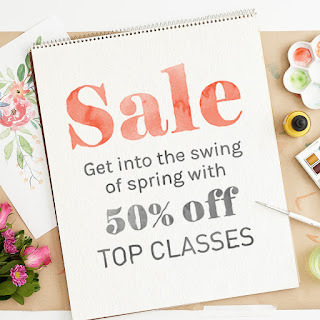 If you're looking for something crafty to do this weekend, check out the Craftsy class sale. They put their top classes on sale for 50% off, but hurry... the deal ends Saturday, 4/23! I've never heard of Planet Dog! Time to check them out! Sounds like my favorite type of pet company. 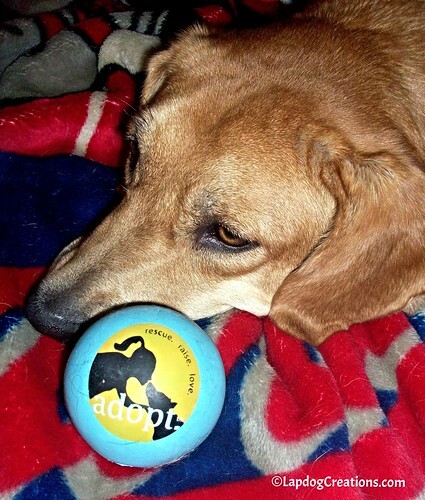 Thor loved his Planet Dog ball that you sent him. 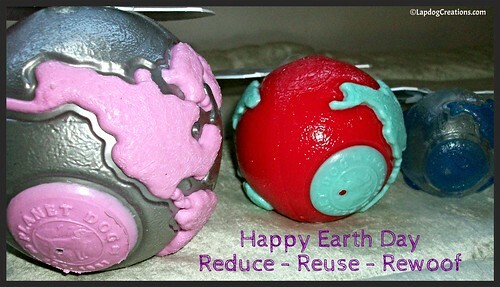 They make a quality product (and the planet balls in your first picture are stinkin' adorable!). I love those Earth balls! I think my FiveSibes would enjoy those! Thanks for joining in our Flashback Friday blog hop, too! Hope you had a Happy Earth Day!